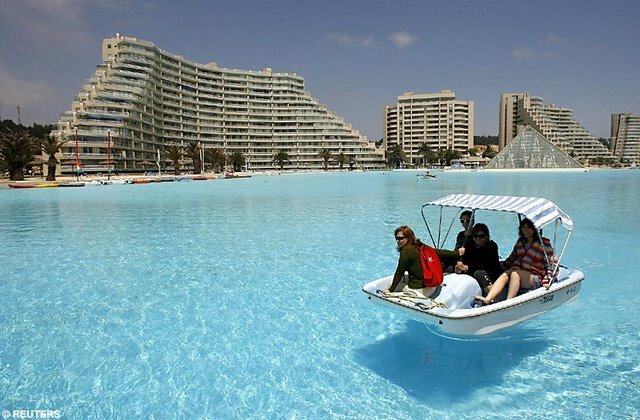 World largest swimming pool, is nothing short of Amazing! 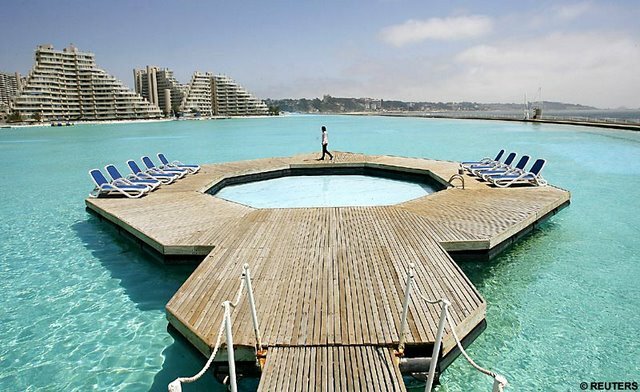 This pool is located at the San Alfonso del Mar in Algarrobo, Chile. 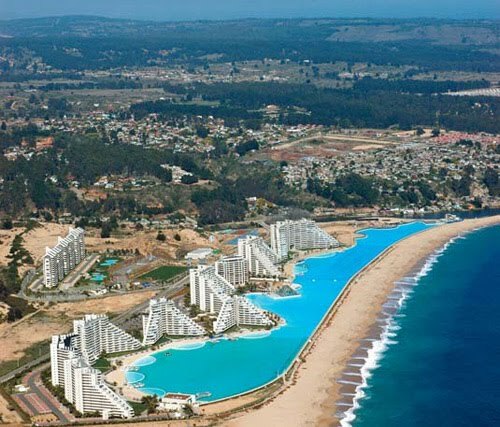 It is more than 1,000 yards long, covers 20 acres, has a 115 ft deep end and holds 66 million gallons of water. 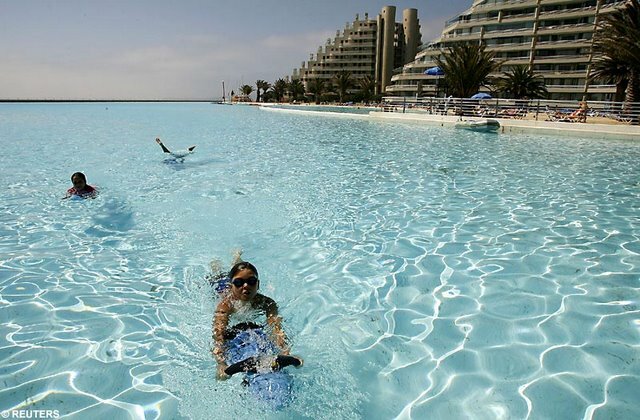 The pool is so large that resort guests use kayaks and small boats to move around. A computer controlled filtration system is used to keep fresh seawater in the pool. Seawater is taken in at one end of the pool and then pumped out at the other.